In our journey showing KRION® around the world, our next stop is one of the founding member countries of the European community: Belgium. 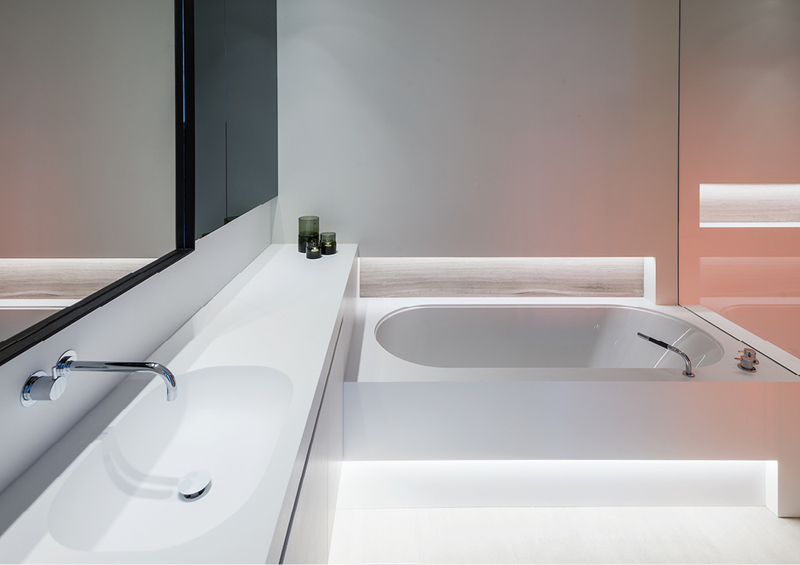 In the north, the city of Hasselt is found, and there, Studio Lijnen & Partners has been charged with designing this private home, in which the compact mineral from PORCELANOSA Group blends in with the subdued and avant-garde style which the studio presents in these striking bathrooms. The design of these spaces is proof that large surfaces are not needed for creating amazing and functional designs. We can find KRION® in several of its applications, such as washbasins, furniture, coverings and shower trays, within the bathrooms. L&P Interieurproductie has been charged with forming the KRION®, in this case 1100 Snow White.